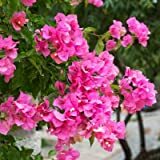 Bougainvillea buttiana for sale – Easy plant to grow, grown for the ornamental flowers and as hedge plant, planting in early spring to autumn, better to buy plant or grafted plant (in order to know the color of the flowers or the leaves) or another option to start from seeds. Growing information: perennial plant, growing hardiness zone: 9-11, water needed – small to big amount, light conditions – full sun to partial shade, height: 1-10 m, 3-32 feet. Blooming in the spring to autumn rarely in the winter, in star shaped flowers, but the bracts are the show part that appear in magenta-rose, pink, purple or more than one color. 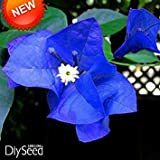 Bougainvillea buttiana for sale – What need to know before buying Bougainvillea buttiana plant? 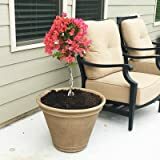 What is the season to buy Bougainvillea buttiana plant? Bougainvillea buttiana for sale need to know before buying Bougainvillea buttiana plant, it’s strong plant, prefer frost free but can survive light frost, well drain soil, slightly acidic soil, better to give it something to trellising on, has thorns, need full sun, small amount of water, the leaves can be green or variegate (with white), Bougainvillea buttiana can be planted all year.